Today is your Grandmother’s 100th birthday! The whole family is getting together to pay her a surprise visit and throw her a party. However, Grandma doesn’t appear to be home. You and the others may just be the ones getting a surprise today! OMG, this escape room company is the best!! Our game master was great! Love their attention to detail and layout of the puzzles. 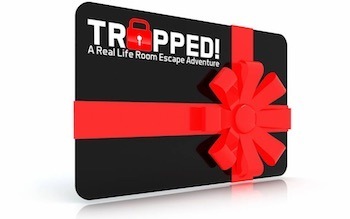 We’ve done all the Trapped escape rooms at the Upland and San Dimas locations. We just did the the Grandma’s Secret room. Has to be one of my top favorite rooms. Trapped has the best escape rooms. This was my first time at the San Dimas location and we did the Grandma’s surprise room. From the beginning it was fast pace. It was a great room. I love the theming of the puzzles and the theming if the room. They always go together and they are fun. I would highly recommend all the Trapped escape rooms. This room and Down the Rabbit hole are by far my favorite and I have done close to 20 rooms. Thank you making it a fun interactive game! One of the best companies we enjoy doing escape rooms! My husband and I have done all the room besides the Vegas location. 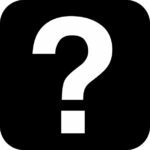 We just did beta testing for “Grandmas Surprise”. We had a total of 6 people and we all enjoyed it! We think the puzzles are easy enough for new people to the escape room universe as well as veterans. Not to give the surprise away, but the room sure did surprise us! Loved all the puzzles and room layout. I can’t wait until my husband and I visit the Vegas location! Go visit trapped escape rooms!!! Just ran the beta for Grandmas Surprise! That was the best room I’ve solved so far! The puzzles all flowed. The theme was so fun. The surprise was so cool! Can’t wait to see the finished room. Grandma’s Surprise is a great addition to the Trapped! family. So much fun and a very entertaining room.